Depending on their severity, car accidents can range from a mild annoyance to a life-altering event. If you were in a car accident in Florida, you will need to take steps to make sure that you are fully protected. If your car accident involved injuries or property damage over $500, you must report your accident. To report your accident, call the local police department, sheriff, or the Florida Highway Patrol. If your accident resulted in serious injuries or an unsafe situation, call 9-1-1. Make sure to get the name, phone number, address, vehicle make and model, license plate number, and insurance information (carrier and policy number) from anyone involved in the accident. Also, ask for names, phone numbers, and addresses of any passengers and witnesses; this information could be helpful if your accident results in a future lawsuit. After an accident, you should file a claim with your insurance company. You should do this even if you were not responsible for the accident. The company will investigate your claim to determine fault and damage. If you have any questions about your insurance coverage or benefits, do not be afraid to ask your insurance company. Florida has Personal Injury Protection (also called “PIP” or “no fault”) automobile insurance. Under Florida’s PIP laws, drivers are required to carry insurance to cover the driver’s own injuries and lost wages, regardless of whether the accident was the driver’s fault or the fault of the other driver. Under Florida’s new PIP law, an injured driver must seek treatment within fourteen days to receive PIP benefits. If you have PIP automobile insurance, you should consult your family doctor or go to an emergency room as soon as possible-even if you do not think your injuries are severe. Some injuries do not manifest themselves immediately after an accident. You do not want to be prevented from recovering PIP benefits because of this technicality. 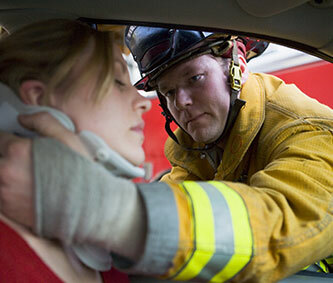 If you were a passenger in an accident, you should also immediately seek medical treatment. Passengers are also entitled to PIP benefits. If the driver you were riding with had PIP automobile insurance at the time of the accident, you should be able to recover for your injuries. Seek immediate counsel from an experienced personal injury lawyer in West Palm Beach. The insurance company representative will likely tell you that you do not need a lawyer. The fact that they say that means that you do. Our firm will provide a free initial consultation where we will go over all of the important deadlines that you need to meet and make sure that all possible sources of recovery are investigated. If you, a family member of friend has been injured in an accident, you can contact our office at (561) 684-6330, toll free at (800) 443-4529 or online at www.SmithVanture.com. Click here for a full list of cities Smith & Vanture provide car accident representation. For information on Uber accidents in West Palm Beach, click here. For information on Lyft accidents in West Palm Beach, click here. DISCLAIMER: The information contained in this website is provided as general information only and should not be construed as legal advice on any matter of personal injury or wrongful death. Content is provided “as is” and does not seek to nor does it establish an attorney-client relationship with Smith & Vanture.